In many cases, your insurance company may require you fit a BS3621 British standard lock. This is because they have been designed and tested to meet the minimum security standards set out by the British Standard 3621 assessment, to offer you a high security solution to any entry doors on your property. Here you can learn about the three different types, and their best uses before making a purchase. This is the most common type of door lock. As you can see from the photo on the left, these offer a handle-operated latch, and a key-operated deadbolt to lock the door. 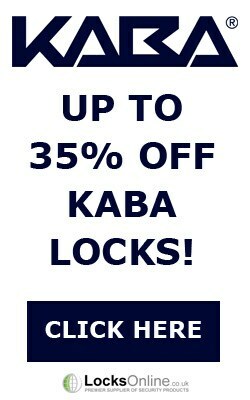 Sashlocks are the so popular because they allow you to close the door without locking it when you wish to keep the door closed, but it is not convenient or necessary for you to physically deadlock the door via the use of a key. Of course you should always keep your doors securely locked when not in use to maintain the security of your home. In short - having a BS3621 sashlock on your door gives you a high security locking solution, with the option of having it held closed purely on the latch when you do not wish to repeatedly lock and unlock the door when entering and exiting. Deadlocks are particularly useful on doors that either have an existing latch on the door, or on doors where you do not want to allow latching and want to enforce proper locking of the door. 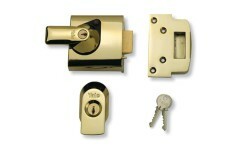 These are often used in conjunction with rim nightlatches for example - commonly referred to as a "Yale Lock". If you have an old rim nightlatch on your door that suits the aesthetics of the door and your insurance company is demanding you have BS3621 locks fitted, you don't need to change your traditional style nightlatch! You can continue using it, but simply fit a deadlock further down the door at waist height, to allow for a good strong level of security to be applied when the deadlock is being used. This will satisfy the requirements of BS3621, and you would not need to replace your old style nightlatch - which we all know often suit older doors a lot better than the modern types! In short, having a BS3621 deadlock on your door, allows you to have no latch on the door, or to continue using your lovely old Yale type latch, as long as you use the new deadlock to fully lock your door! 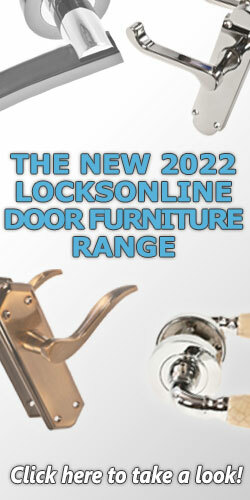 Rim locks are surface-mounted locks that are not morticed into the door. They sit on the inside of the door, and engage with an external keyway which allows for unlocking via key from the outside. These are hugely popular in the UK, and are commonly referred to as "Yale Locks", due to the fact that the pin tumblr type cylinder used on these, was designed by Linus Yale. 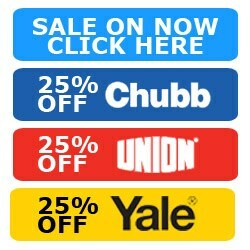 But make no mistake, Yale are not the only ones who make these, giving you more choice of style and sizes. The real benefit of this type of lock is that it allows you to simply close the door and not have to worry about locking it yourself. This is no doubt why they are such a popular choice, as they allow for fast and convenient use, only requiring you to unlock via key when entering the property. And with the majority of rim nightlatches, you also have the ever-loved 'latch snib' which provides a hold-back function for the latch to allow the door to stay unlatched and therefore unlocked. In short, having a BS3621 Rim Nightlatch / Yale Lock on your door, gives you the freedom to not have to physically lock your door every time. Keys are only typically required to enter the property. Be aware that officially there is no such thing as a categorically "insurance approved" lock. This is a common term widely used for the BS3621 kitemark, as the majority of insurance policies require this standard if any. However different policies for different applications, may have different requirements so it is always best to double-check your policy or give your insurers a quick call! If you would like to learn more about BS3621, we have a fully detailed article on what BS3621 really means. 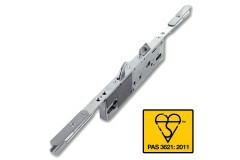 British Standard BS3621 Sash Locks. 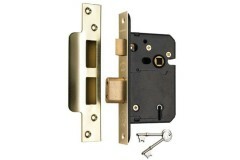 Sash locks have a latch and a deadbolt in the built of the lock. These locks would require handles to operated the latch. This should be the preferred choice for lo..
Dead-locking door locks have a single 'dead' bolt that is locked and unlocked with a key. 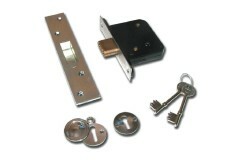 Dead locks are embedded in the door for extra strength, providing exceptional security and is specified by man..
Rim Auto Deadlocking Cylinder Night Latches - commonly referred to as 'Yale Locks' - operate in such a way that when the door closes, the lock will engage the deadlock and require a key to re-enter. M.. These multipoint locks have achieved PAS3621 or PAS8621 certification, which replicates that of the British Standards BS3621 and BS8621, for multipoint locks.So if you're one of the many people who is..